The historic home of Yorkshire CCC will host four group matches at the ICC Men's Cricket World Cup 2019. It will host four matches at the ICC Cricket World Cup 2019, including England v Sri Lanka, and will be where Afghanistan play two of their round robin fixtures. The Windies will also appear at Headingley, where they claimed a heroic Test win against England last year. To find out more about the accessible facilities and services at Headingley, check out the CWC19 Access Guide here. 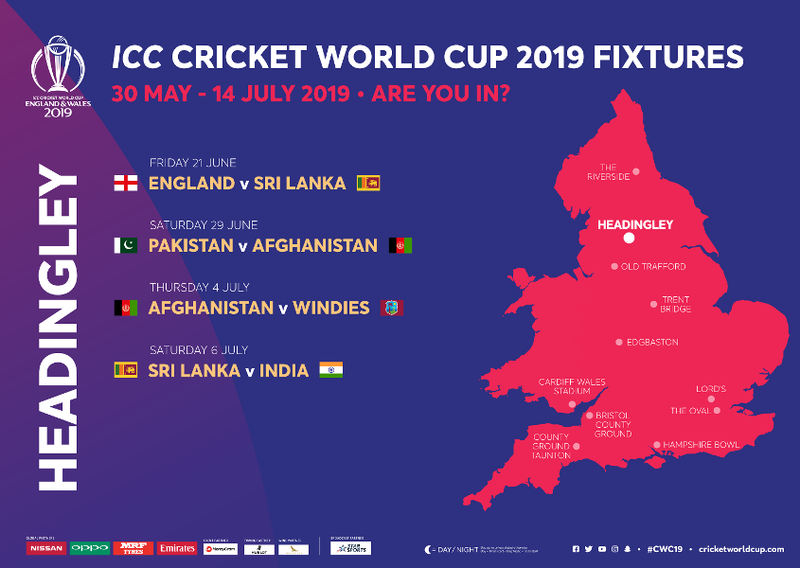 Plan ahead so you can make the most out of your day at Headingley during the ICC Men’s Cricket World Cup 2019. Rail is a great option as Headingley can be reached from three different stations. Leeds City Station is the main station and offers frequent services from all over the country. From there you can jump in a taxi or use the event day shuttle to take you to the ground. Burley Park and Headingley Stations are both on the Harrogate Line and within walking distance of the venue. There will be World Cup Cricketeers at all these stations to welcome you, help answer any question and guide you to the ground. If you have accessible requirements and require assistance please make this known with your rail operator so they can ensure that you have a safe and comfortable journey. To check out train times and costs, please visit www.nationalrail.com. There will also be a Park & Ride service with a shuttle to the venue. Further information will be available soon. If you are travelling by private coach, parking is available at Beckett’s Park. Costs of parking will be available soon. For information on how to get there please see parking information below. There is no drop off or pick up on Kirkstall Lane or St. Michael’s Lane. There is no spectator parking at the ground. The only parking near the venue is in Becketts Park and Car Park K.
Parking at Beckett’s Park is a 10 minute walk to the ground and access is off Batcliffe Drive. Parking costs £10.00 per vehicle which you pay on the day and only cash payments are accepted. Car Park K is a 5minute walk away at Elida Gibbs Sports Ground. Postcode: LS4 2RS. The cost to park here is £10.00, it is best to pre-book your parking to avoid being turned away on the day. On the day it is a first come, first serve basis. You can book your venue parking by calling (+44) 0843 504 3099. Car Park K has limited spaces, so it is recommended to park at Beckett’s Park. A limited number of blue badge parking is available at the venue in Car Park E and F. This needs to be booked in advance by calling (+44) 0113 203 3634. Headingley has designated drop off and pick up points for all vehicles. Locations will be available soon. If you are local to the area, walking is a great way to get around. If you choose to cycle to the match there are cycle racks available at the venue, these are located under the Trueman Enclosure and in car park D. Stewards at the gate will direct any cyclists wishing to use these on the day. Leeds earned its place in Lonely Planet’s ‘Best in Europe 2017’ top ten travel destinations thanks to its transformation over the past decade, with urban regeneration accompanied by a flourishing cultural scene, a growing food and craft beer reputation and thriving entertainment and nightlife. Situated in the heart of the UK just two hours from London and three hours from Edinburgh, Leeds Bradford International Airport is just eight miles from the city centre and Manchester International Airport is only one hour away by train. With a population approaching 800,000, Leeds is the second largest metropolitan city and youngest in the UK and is well known for hosting world class sporting events, including the grandest Grand Départ of the Tour de France in 2014, Rugby World Cup 2015 and is host to the ITU World Triathlon Series. September 2019 will also see The UCI Road World Championship use Leeds as a starting hub. Headingley Stadium, just ten minutes from the city centre, is one of the world’s best-known cricket grounds and plays regular host to international cricket. 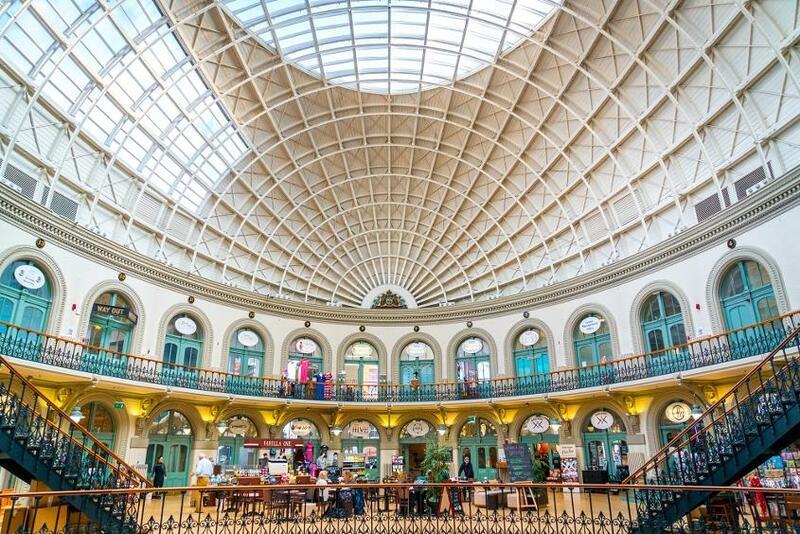 Leeds has more listed buildings than any other city outside London. The architectural heritage here is one to marvel at and enjoy when strolling through the centre. For a slice of British history the city has plenty to offer with a number of nearby historic houses, including one of the Treasure Houses of England; Harewood House as well as Lotherton Hall and Temple Newsam. Kirkstall Abbey is one of the most complete Medieval Cistercian Abbeys in the whole of the UK and just ten minutes from the centre of the city.